AARP is undertaking these efforts at a time when technologists and entrepreneurs see massive opportunity in the health care space. More than $11.5 billion in capital flowed into the digital health sector in 2017, with early stage deals accounting for 65% of that activity, according to an analysis from StartUp Health. 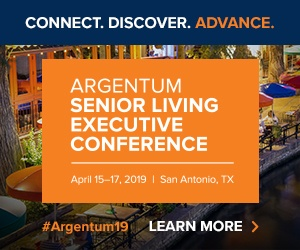 The senior living and care industry is avid to identify and leverage promising new technologies, with organizations such as Aging2.0 and Direct Supply trying to drive innovation in the space. And the overall market opportunity is huge, given the coming demographic wave of aging Baby Boomers.